Home Blog Harish Amilineni Why invest in SEO and not only in Google AdWords? Harish Amilineni Why invest in SEO and not only in Google AdWords? It is one of the most common questions that SEO consultants receive from their clients, and the answer could not be simpler: Although positioning our page does not obtain immediate benefits, our website will gain relevance in the medium and long term, being this relevance of permanent character On the contrary, if we only use paid advertisements, the advantages will cease once we stop paying for them. Investing in an SEO specialist is a decision that can improve your positioning and save you a lot of time; However, quick and irresponsible tactics can damage the reputation of your site, although in general, most agencies are legit and offer very useful services, such as reviewing and updating the content and structure of your website. They will also offer technical assistance and they will be able to transmit their experience. However, many people prefer to do the work for themselves, documenting and starting little by little, failing and getting up. When this is the case, the benefits will not be in the medium term, because as we say, it requires a long process of learning and trial and error tactics. It has happened to all of us. How many potential clients do you prefer to have per month? 10 or 400? How important are search algorithms in web positioning? 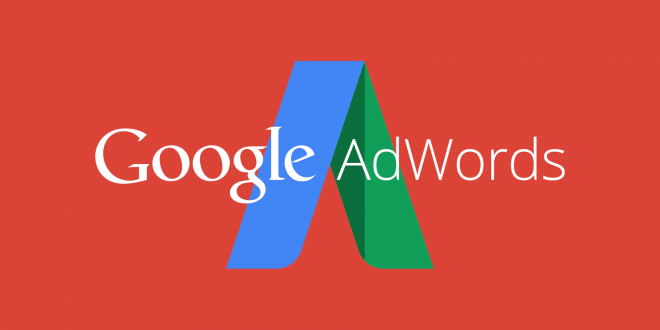 Google AdWords is not going to help you make your presence on the Internet more solid, because it is a temporary solution. Search engine optimization (SEO) is slow and that is why it gives much more value to your website than any type of ad . But the most important thing is the abysmal difference between the number of potential customers you can receive optimizing your website and your content with respect to the scope that you would have using exclusively AdWords. Putting a very simple example, if we assume that a thousand people are those who write in Google the keyword “Electrician in Madrid” , you will see that a lot of AdWords advertisers appear in the first results, which compete to receive 10% or more. 15% reach. That is, according to statistics, all these advertisers together will be distributed to some 100 or 150 of those 1000 people who have searched for “Electrician in Madrid” . Within that percentage, assuming that 7 ads appear, it turns out that each one will have approximately 1/7 of those 100 or 150 potential customers. Google Adwords is fine to guarantee minimums, but in no way can we focus our strategy on those minimums . What happens with 80% or 85% of potential customers? Well, they spread the rest. In particular, it is the first organic results and not the results obtained through Google AdWords that will receive over 40% of those customers. The answer to the previous question is obvious. Getting customers is one of the things that most worries every business owner. Distribute thousands of products, make thousands of calls or petar hundreds of doors are very obsolete strategies that are only used by today’s Marketing dinosaurs, since their effectiveness has gone down in history, requiring the investment of much effort, time and money. The basic strategy of Internet marketing is search engine optimization (SEO) as the main tool to increase the flow of customers. 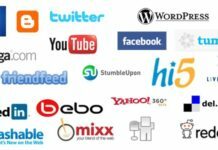 However, the idea is not to compete with other websites but to identify and get to know your potential customers very well . The content of your articles as well as the use of the right keywords is one of the most important factors. You must bear in mind that not every Google user is your potential client. There are people who browse without any interest or without the need for your products or services despite having entered in the search engine any keyword that can find you. There is a group of specific users of Google who will value what you offer, seeing on your website the appropriate page where they will find what they are looking for or the solution to any problem they may have. Well, these are your future customers. To increase the quality and quantity of your website traffic, you should focus on the organic results of the search engines , which are those in which the ads are ignored. To have good authority and thus go climbing positions in the Google search listings, the first thing you should do is make sure that your website complies with those guidelines that search engines require . It is not a job at once, but the update must be constant . Actually, both the payment and organic results will try to provide the information sources that best suit what users are looking for, with the difference that the ads are paid and the organic results are not influenced by any type of economic interest. The organic results are the pages that Google scans and indexes , adjusting to criteria or variables that their algorithms take into account to position them based on the keywords that users enter. 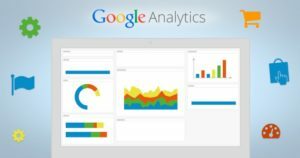 We recommend that you start using Google Analytics as an analysis tool to reach your customers . This tool gives you information about the traffic of your website according to the visitors, the behavior, the acquisition and the conversions that take place. You can get tracking reports or statistics on the most visited content, among other things. Analytics will be of great help to you to know a little more about your clients and your possible clients. 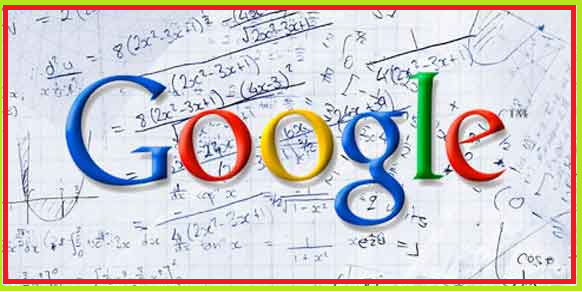 The search algorithms are complex statistical and mathematical functions that give a specific score to each web page. The investment in SEO and not only in Google AdWords will be to ensure a good response of these algorithms to promote the positioning of your website without any additional cost, such as those associated with ads. These functions allow you to predict what the user is trying to achieve through Google or any other search engine. Google will show synonyms of the words that the user enters , also considering the place from which the search is made and the type of search, since they may be looking for texts, images or videos. 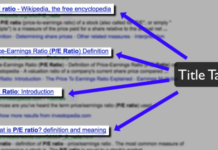 How will Google classify our website and how will it know the content of our website? This is what the bot or spider of Google is responsible for. The robot or bot Google is another algorithm that is responsible for tracking all Internet pages to index and classify based on their contents . The bot works like a spider weaving threads and jumping between them until you get something like a network. That is to say, a bot that crawls a web is looking for links and jumping from page to page until progressively tracking all existing pages on the Internet. The Google bot will access your page based on the frequency with which you update it. Next, it will index the new pages and search for changes in those already indexed to, finally, classify the pages based on the most relevant keywords. The idea is to appear among the top ten search results for the most interesting keywords. Therefore, you or the SEO expert you hire will try to improve each of the factors by which Google classifies each page of your website . Therefore, it is very important to know the techniques and the algorithms that determine your classification based on the type of search of users. Google offers you the Google Search Console service , previously called “Tools for Google Webmasters” for free . Google Search Console will not help you to position your page directly, but simply offers you information about the current status of your website, for example, if it is infected by malware, if it is cloacking , if you have a broken link, if has indexing problems or inaccessible pages … etc. It is very common that the pages made with WordPress that are not updated are hacked , so here is a guide of steps to follow in case your website made with WordPress is hacked . If you hack your website, it is possible that the Google bot becomes aware of it, so you will be shown a warning in Google Search Console. It could also be the case that your website starts sending spam , something that will greatly reduce your positioning . Investing in Search Engine Optimization (SEO) and not only in Google Adwords is an intelligent decision that will guarantee you the saving of a lot of effort, time and money ; but the most important thing is that it will help you to extend your actual reach of potential clients , improving in a natural way the positioning of your web in Google . 2 How many potential clients do you prefer to have per month? 10 or 400? 3 How important are search algorithms in web positioning?